"Momentum is easier to steer than it is to create." I don't know who actually said this, so I will ascribe it to the one person I hear say it weekly, my boss. On the off chance he reads this (very minute, though I do post links to this on Facebook and a couple of co-workers read these from time to time, so...), let me also say that my boss is a great guy. Very smart, hard working, a great advocate for those of us in the field. Fights his guts out. You get the idea. At any rate, there is more than a kernal of truth in that statement, no? And it certainly applies to sales (ask me sometime about creating momentum in a new market heretofore dominated by our competition... or not, unless you're having trouble sleeping), but also to football, I think. It can apply to entire seasons. It can apply to individual plays. And everything in between. And I would argue its inexorable pull is more pronounced than in the other major sports. In baseball, momentum is as powerful as tomorrow night's starting pitching. Momentum in basketball can be killed by a well-placed timeout. And I know nothing about hockey, so I defer to Lanky on that. But for the sake of this piece, let's say this saying holds true moreso in football than any of the other major sports. Momentum is what impressed me the most with the win over the Giants this weekend. I know I was not the only one watching the game with a sinking feeling in my stomach after Gano missed the easy FG try. I know I was not alone in feeling doomed several times in the 3rd and early 4th quarters, watching and feeling the momentum slip away. But it didn't slip away. The team reversed it, created new momentum, steered it away from danger, whatever you want to call it, they didn't cave when we expected them to. In years past, when faced with adversity, the Redskins would fold like a cheap card table (admit it. The reason you read this blog is for analogies like that). One missed 4th down conversion, a missed FG, a Red Zone INT, or any of a number of seemingly innocuous plays would lead to the inexorable slide towards failure and ultimately loss. And we would be the fans groaning on the message boards that if this one play had gone a little differently, or if that one catch had been made, or whatever, we would have won darn it. For one week, that's not how it went down. And I know, I know. The Giants were without hlaf their defense. And their QB looks like... well... this. I know. Caveat it all you want. But the fact is that we had plenty of opportunities to fold, to give up and lay down and let them team that has flat-out owned the Redskins to come back and beat us. As has happened many, many times before. We created momentum. Or steered it. Or whatever. And all due respect to my boss (lots and lots o' respect ), we made it look easy. 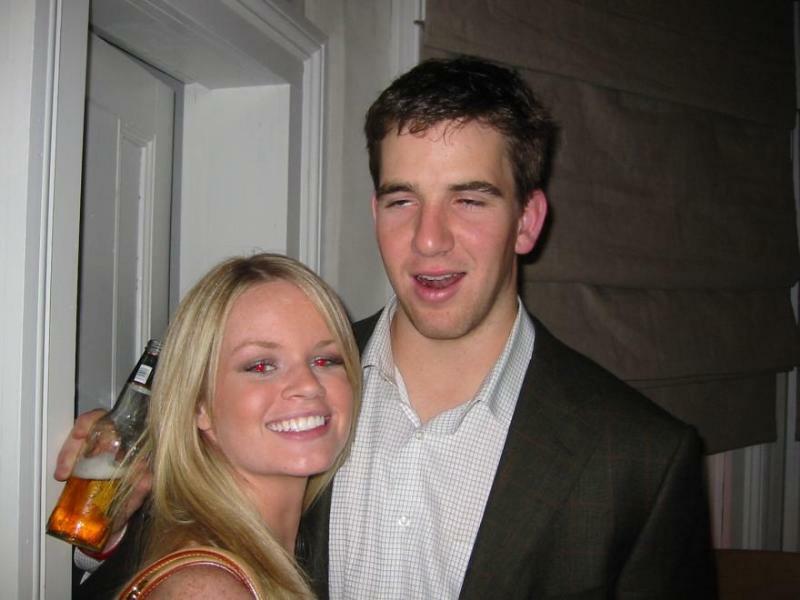 We faced the adversity and stared it down, and laughed in the face of Eli. To be fair, can you blame us? So let's see what happens against Arizona, the perfect trap game. Will the team be full of themselves coming off a great win? Or will it be ready to recreate momentum and so what needs to be done?